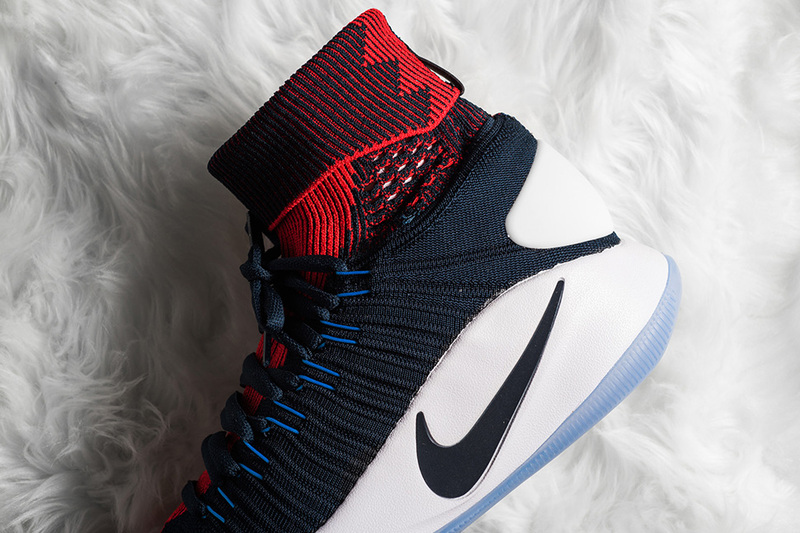 Nike Hyperdunk 2016 Flyknit "USA"
Nike Basketball serves up a USA version of the current Nike Hyperdunk 2016 Flyknit silhouette for the upcoming Olympic games. 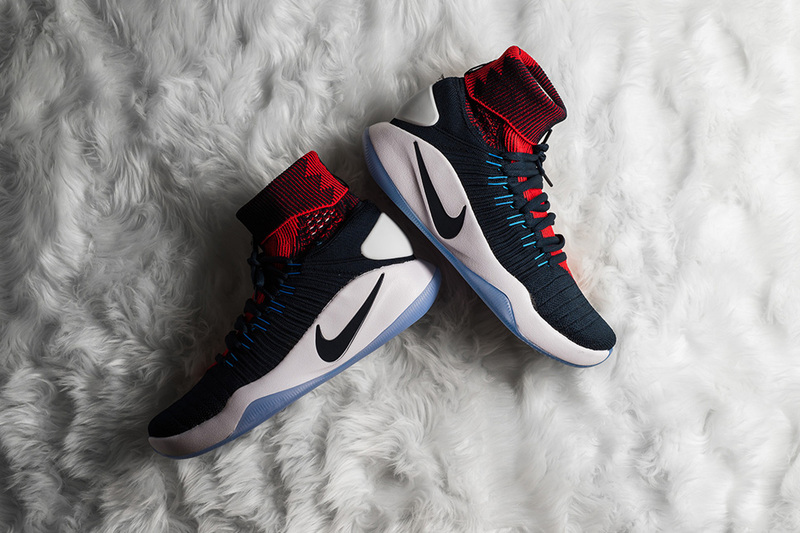 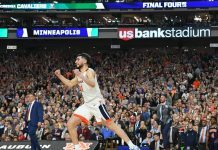 Nike’s most recent version of basketball’s future, the Nike Hyperdunk 2016, debuted in March, extending a lineage of radical silhouettes that originated in 2008. 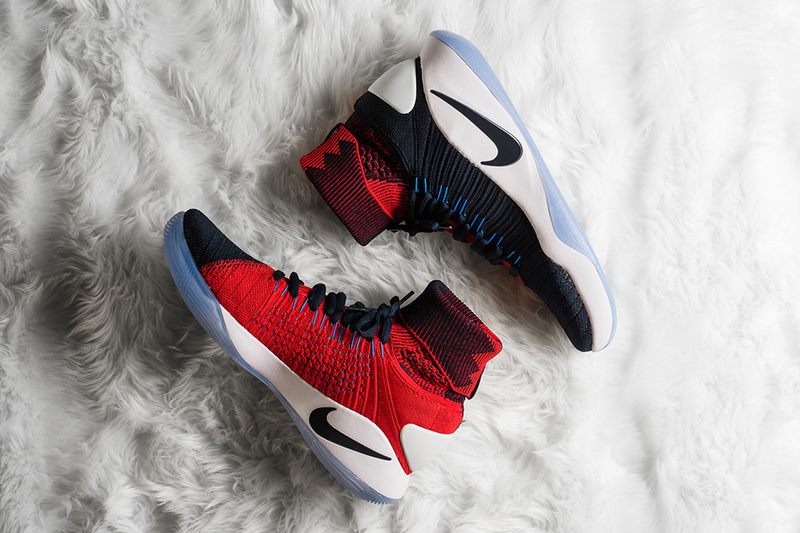 Incorporating Flyknit technology, the new shoe’s upper moves in tandem with the body’s natural motion at the same time its striking verticality pushes the sport’s aesthetic. 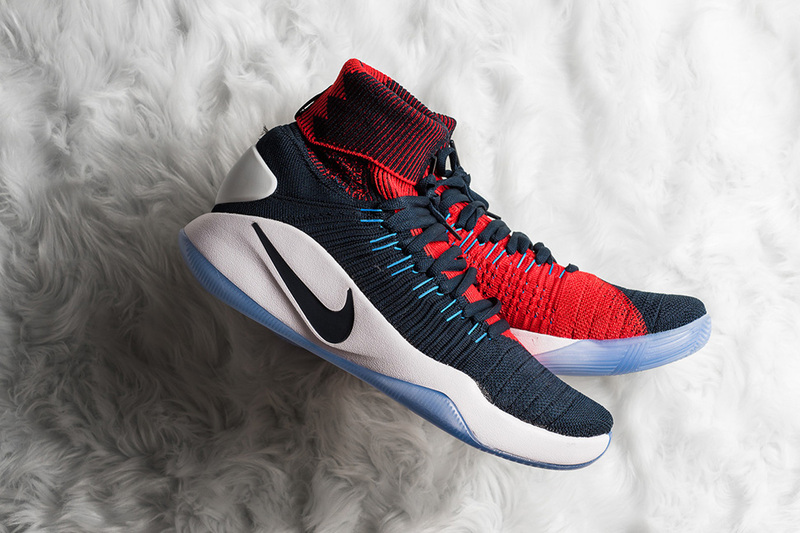 For this colorway, Nike added a patriotic feel on the uppers featuring USA’s red, white and blue theme. 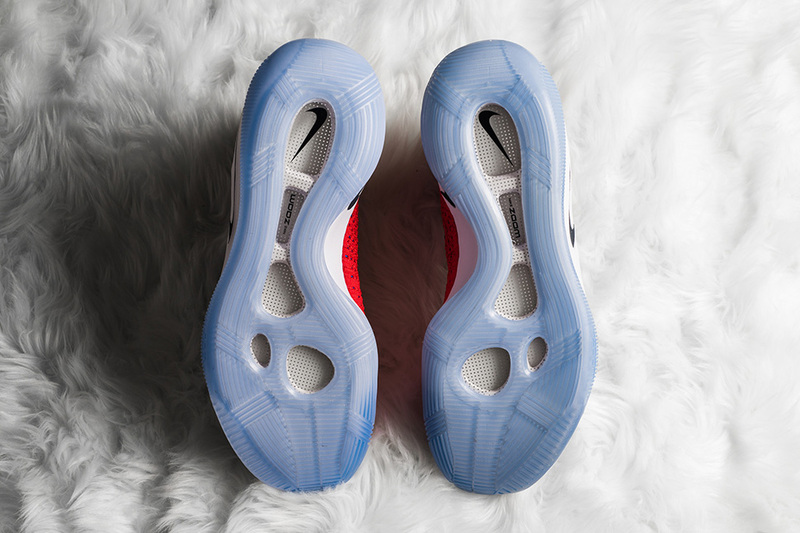 Icy outsoles sit on the bottom, complimenting the unique swoosh added on the heel. 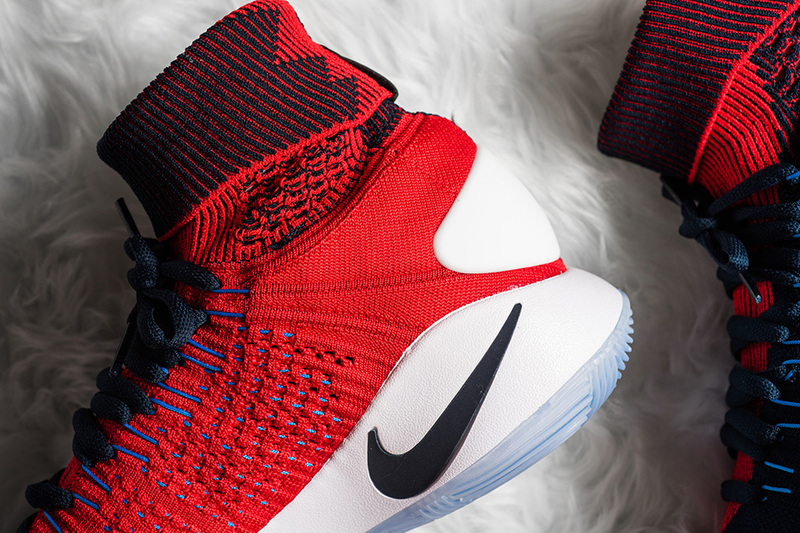 Check out the Nike Hyperdunk 2016 Flyknit “USA” below and look out for them at retailers like Sneaker Politics on July 18th.